We’re excited to announce our 5 latest partner breweries that will be joining our monthly shipments! Open since December 2015, The Second Wedge Brewing Company is a walkable neighbourhood brewery right in downtown Uxbridge — a beautiful, comfortable space to gather, learn and taste something new. Focusing on creating small batch ales, they provide 4 diverse core beers with a constant array of unique seasonal offerings. In September, we featured their “Gin Joint” - a gin inspired gruit ale. In October, we featured their “Love Child” - a cacao infused wheat beer; one of the finest dark wheat beers we have ever tried. “Our story starts in 2011, when we set out with a simple goal: brew a hoppy pale ale that would compliment the house-ground burgers at our local burger spot. When our beer was a bigger hit than our burgers, we decided it was time to pursue an adventure in brewing, and pay homage to our home - Toronto's Kensington Market. 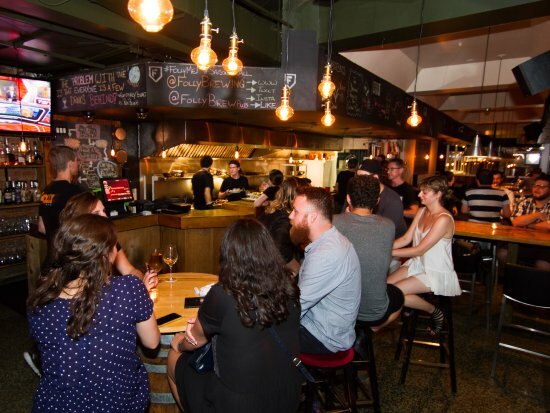 Our mission was to represent the diverse flavours of our neighbourhood, with beer that reflected the eclectic culture. This is the epitome of “Destination Brewery” and their facility feels like the Disney World of Ontario beer. Sure, maybe they are a little bit bigger than our other partners but they are bringing new life to a very small town in Western Ontario, and that’s pretty special. With their new program of canning a small batch brew every month or so, we decided we had to get them on board. You can follow along with head-brewer @johnpjenkinson and his creations. Hamilton’s beer scene is nothing short of impressive and here is the second brewery from the hammer to join us. Featuring one of the finest Porters in Ontario, they make a wide variety of styles with great seasonal offerings. What do you think about these new additions? Let us know in the comments below!